FLOOR PLAN #3 is unique in that the men’s and women’s shoe rooms are connected yet divided for privacy. There is also an overflow locker space capability by simply moving the center wall to the opening on either side. Both locker rooms are a mirror image of each other. 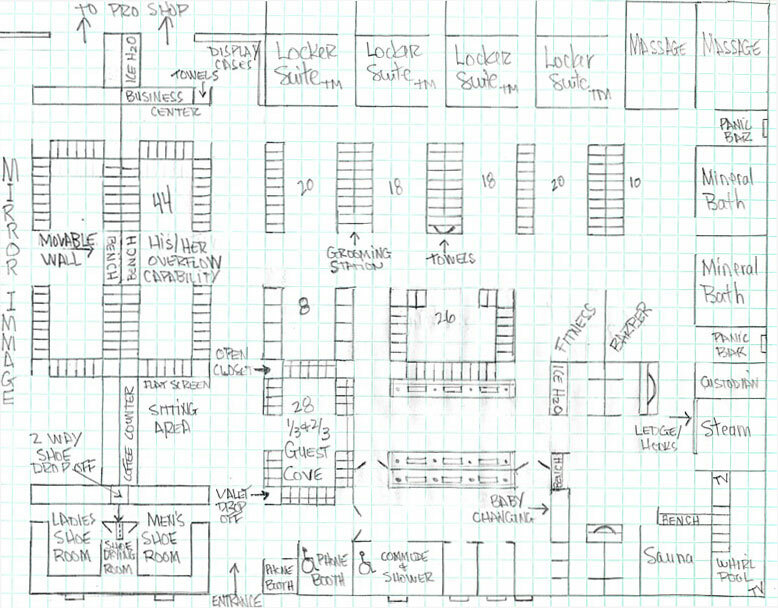 This floor plan allows for direct access from the parking lot or can be located off the main lobby area.